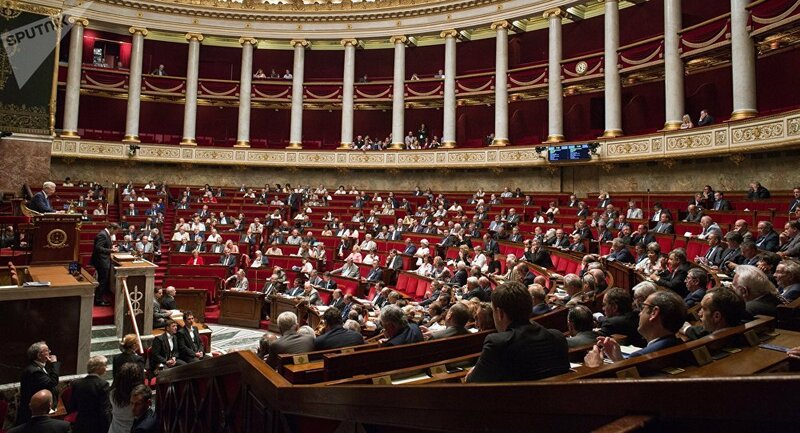 French Right-Wing parliamentarians are in the process of creating a separate parliamentary group in coalition with the Union of Democrats and Independents party. PARIS (Sputnik) – A number of newly-elected parliamentarians of France's right-wing The Republicans party are in the process of creating a separate parliamentary group in coalition with the Union of Democrats and Independents (UDI) party, The Republicans party member Thierry Solere said Wednesday, adding that this coalition would be open for dialogue with the government. "Our new fraction, new parliamentary force will be called 'The Constructive Republicans, UDI and Independents'," Solere said. The group's parliamentarians plan to take "constructive" opposition ready to cooperate with the authorities in the consideration of the bills aimed at carrying our reforms. "We do not have any intent to block the necessary reforms," Solere stressed. On Monday, French Interior Ministry data showed that President Emmanuel Macron's Republic on the Move (La Republique En Marche, REM) party allied with the Democratic Movement (MoDem) gained an absolute majority with 350 out of 577 seats in the lower house of French Parliament as a result of the second round of the French legislative election. The right-wing forces, including The Republicans and UDI, received a total of 137 seats, losing almost a half of their parliamentarians from the 2012-2017 parliament. Marine Le Pen's National Front (FN) party received a mere 8 sets in the new parliament. The left-wing parties also saw a defeat, with the former ruling Socialist Party getting 29 seats. Jean-Luc Melenchon’s Unsubmissive France party and the Communist Party together secured 27 seats in the parliament.